(-0.18%) disclosed for the first time how much it pays its median worker: $12,754 per year plus 52 lbs of coffee. That’s one pound of coffee and about $245 a week. What makes Starbucks Egg bites so delicious? Starbucks is testing out compostable and recyclable cups. Hello guest! Please register or sign in (it's free) to view the hidden content. (+0.35%) is testing out compostable and recyclable cups. And you thought StrawGate was the last of it. The food display looks enticing to you doesn't it? Think twice before wrapping your fingers around that sandwich or wrap..
And no... this wasn't a "service dog"
Public Health in restaurant establishments in the United States has plummeted over the past few years unfortunately. People years ago would have been horrified by this. Today, Starbucks (+0.78%) is opening its first location in ItalyÂ—a "Reserve Roastery" in MilanÂ—as an homage to the very country that inspired its espresso-fueled vision (and ~28,000 stores worldwide). Hello guest! Please register or sign in (it's free) to view the hidden content. , 25,000-square-foot Milan Roastery looks like. Plus, it offers locally roasted coffee from 30 countries alongside freshly baked pizzas and pastries...and alcoholic drinks so you won't miss your after-workÂ aperitivo. There's a backstory:Â Starbucks Chairman Emeritus Howard Schultz first traveled to Milan in 1983...when there were onlyÂ fourÂ Starbucks locations, all of them in Seattle. Hello guest! Please register or sign in (it's free) to view the hidden content. Â a coffee shop chock full of human connection (if someone writing your name on a cup counts)Â every four hoursÂ on average, and it clocked in $22.4 billion in net revenue last year. This is just its third Roastery (after Seattle and Shanghai). 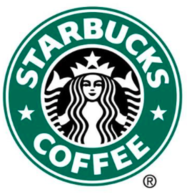 But Starbucks plans to open Roasteries in New York, Tokyo, and Chicago this year and next. Hello guest! Please register or sign in (it's free) to view the hidden content. Â of their coffee culture. Good luck defending why your "grande" size is only a medium. So why open the Roastery?